Exceptional corporate growth can be depicted with graphs and figures. Or on a world map, as is the case with IKA®. 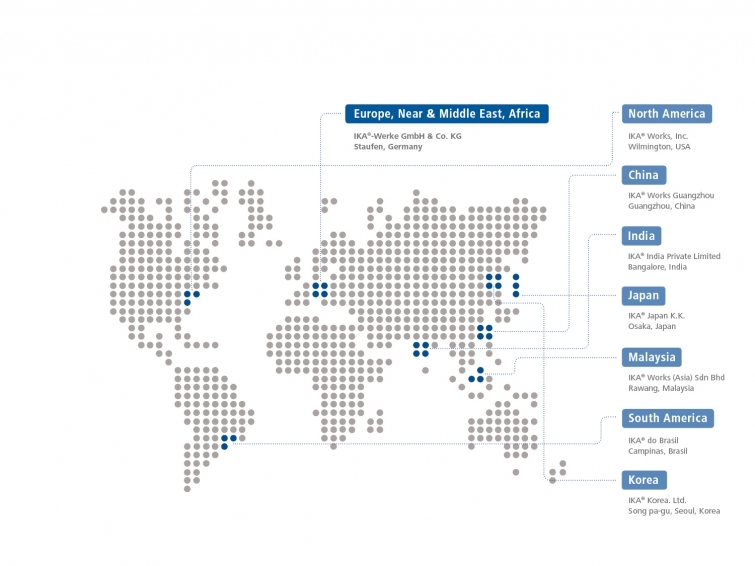 Whether in the USA, Brazil, Korea, India, Japan, China (PRC) or Malaysia: IKA®is locally present. With locations that are not only dots on the map or mailing addresses for prestigious purposes, but are real and genuinely functioning organizations with a future. For the future. A future, in which our headquarters in Staufen, Germany is the heart of our corporate culture. Th ere is more to our Staufen location than just close links with the region, our commitment to contributing positively to our community or the desire to structure our future as a global company. IKA® Staufen not only controls our worldwide operations, but, with all its strengths, also serves as a global example for the IKA® Group. Our headquarters in the southwestern part of Germany is and remains the core of our research and development departments. More than half of our turnover is generated here by our 360 employees. IKA® is one of the rare companies that benefits from globalization which results in the well-being of its growing number of employees in Germany. Our strong corporate development is a result of developing innovative products and is the best reason for our own Design Center at the IKA® headquarters in Staufen. Approximately 50 creative engineers are exclusively involved in the product development process. With our own graphic designers, industry and product specialists, we set high standards for further advancing the lead of IKA®. vast spectrum of innovative devices for mixing, tempering, distilling and crushing applications. Magnetic stirrers, overhead stirrers, dispersers, shakers, mills, rotary evaporators, calorimeters, laboratory reactors and incubation shakers make up the laboratory and analytical equipment portfolio. In addition, the process instrumentation offers solutions for pilot and production-scale stirring, mixing and kneading applications. 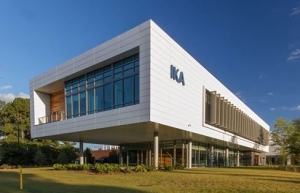 The US subsidiary, founded in 1985, is located in Wilmington, North Carolina and currently has over 90 employees that support and drive market share not only for the North American market, but also for the global IKA® Group. Founded in 1995, IKA® Works Asia in Kuala Lumpur, Malaysia, has a workforce of approx. 50 employees and is responsible for the entire Far East region. This subsidiary is a gateway to the emerging Asian markets and sells IKA®’s products under regional market conditions. exclusively in the Chinese market. A future investment which is already yielding profits today has become one of the fastest growing plants. Since 1999, IKA® is represented in Nara, Japan which underlines the country’s importance for the IKA® Group. Founded in 2001, IKA® do Brasil in Rio de Janeiro is the Group’s youngest subsidiary and supplies the Central and South American market. 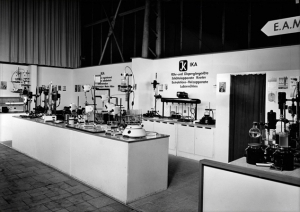 IKA Works GmbH & Co. KG in Staufen can now look back on a century of compan y history. Founded in 1910 as a supplier for pharmacies and hospitals, the company left bombed-out Cologne for Staufen im Breisgau in 1942. There it quickly became the world’s leading company for laboratory technology as well as dispersing, stirring and kneading machines. Today IKA employs more than 600 people in eight locations on four continents. IKA Works had its beginnings in Cologne’s historic district. That’s where businessman Curt Janke and pharmacist Max Kunkel founded the “Handelsgesellschaft pharmazeutischer Bedarfsartikel Janke & Kunkel OHG” on January 1st, 1910. Labs, pharmacies, and hospitals were their principal customers. t anytime soon, the partners decided to start from scratch in Staufen in South Baden. They rented buildings and, with the help of the Cologne crew, began building lab equipment again. In April of 1945, shortly before the war ended, Staufen was occupied by the French. As a French national, René Stiegelmann Sr. quickly established good relations with occupation authorities. The company therefore was able to avoid dismantling and to continue production on a limited scale in times of a material shortage. Kunkel. IKA thrived and soon the factory buildings in downtown Staufen became too tight. 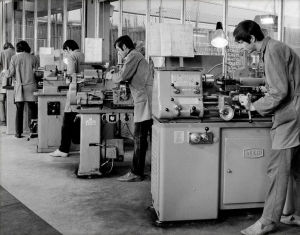 In 1965 the company moved to a generous new building in the industrial area of the city. René Stiegelmann Jr., who had joined the management board of Janke & Kunkel GmbH & Co. KG, IKA engineering in 1980, took over corporate management in 1991. He had the product lines reworked, turned the attention to the newest technology, and -new to the industry- design. Since then, IKA’s elegant blue machines pleasantly catch one’s eye in almost every lab in the world. 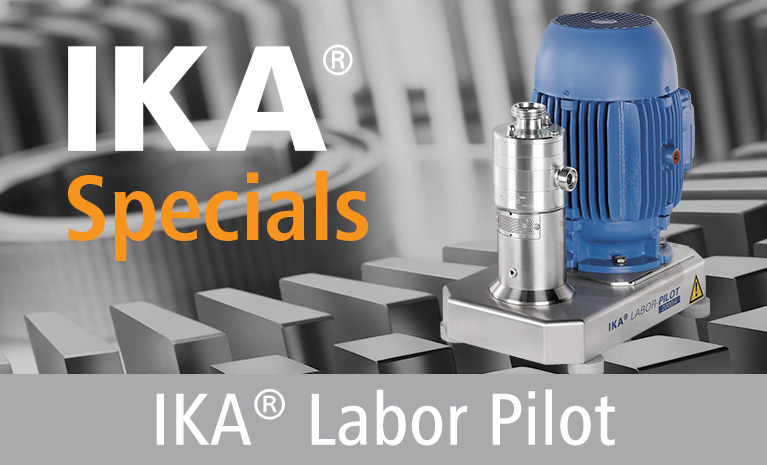 Export has always played a significant role for IKA, so the company also established factories abroad, the first one in 1985 in Cincinnati (Ohio), U.S.A. Today “IKA-Works, Inc.” headquarters are in Wilmington (North Carolina). 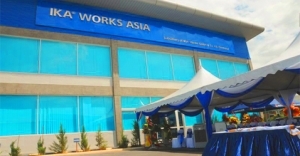 “IKA-Works Asia” was established in Malaysia’s capital Kuala Lumpur in 1995. The third foreign production facility opened in 1999 in Guangzhou, China. At the same time the sales office IKA Japan was founded in Japan. And finally, IKA India, originally founded as a sales office in 2001, began its own production in 2009. Research and development continues to be conducted in the head office in Staufen. That’s also where the stirring, mixing, and kneading machines for the chemical, pharmaceutical and food industries are produced.